I Love to Cook!... 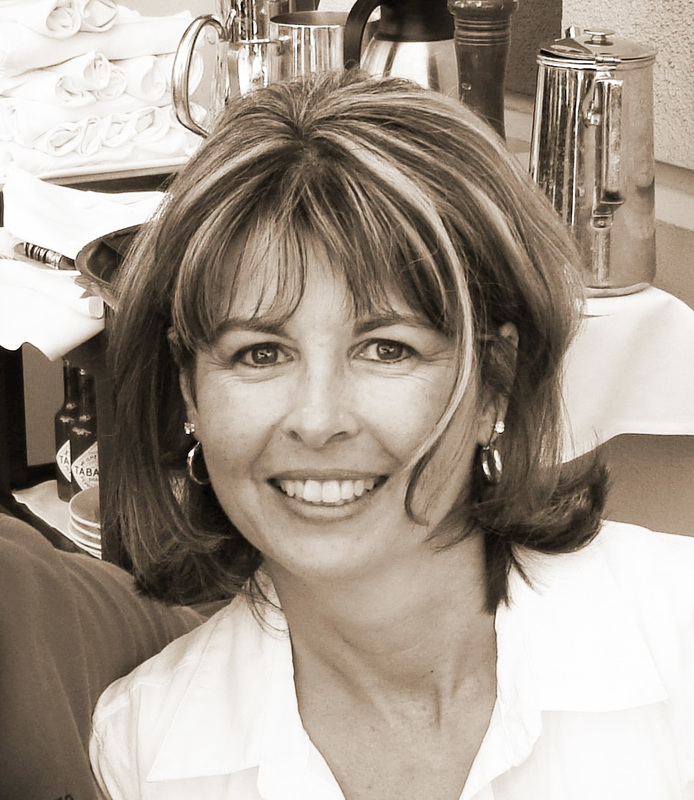 and I love sharing what I cook with family and friends. 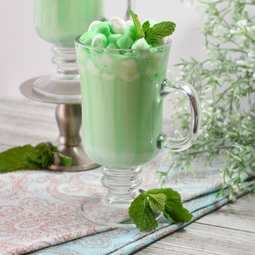 My recipes are classic and on trend for today's cook. 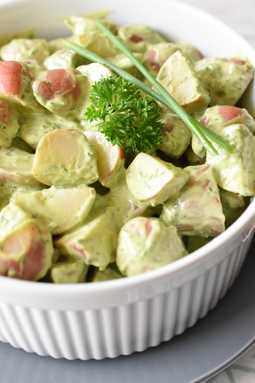 Ordinary potato salad gets a fresh and herbal update, when dressed with Green Goddess Salad Dressing instead of plain mayonnaise. 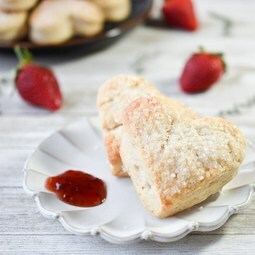 Adorable Sweetheart Scones are a delicious vanilla scented breakfast or anytime treat. 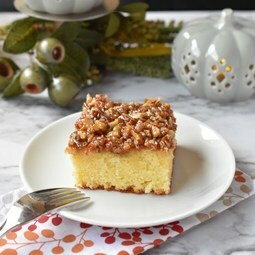 Lazy Daisy Cake - A delicious hot milk sponge cake topped with a nutty caramel broiled frosting. A perfect dessert for Fall and Winter. 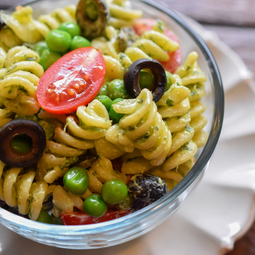 Green Goddess Pasta Salad will be your new summer favorite. 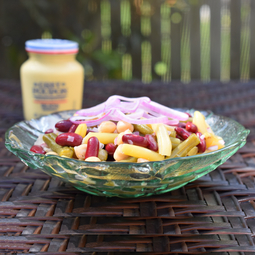 Tangy clean herbal notes are an easy twist on old school macaroni salad! Four Bean Summer Salad is cool, sweet, and tangy. This is just the right dish for grilling, barbecuing, and smokin' hot weather! 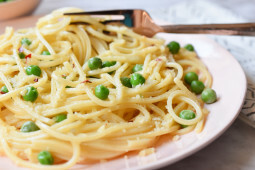 Spaghetti Aglio with Green Peas is a delicious light dinner or late night snack. You can make it in only 15 minutes! 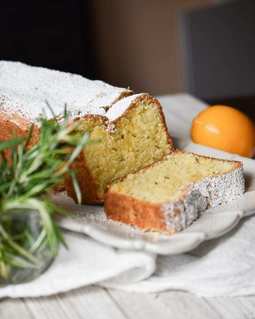 Enjoy it with a glass of white wine and some lovely crusty bread. 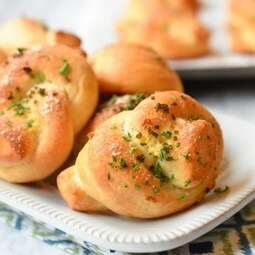 Garlic Parmesan Bread knots are perfect with your next barbeque or Italian dinner. They have a sumptuous buttery garlic bread flavor! 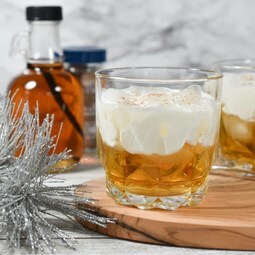 Maple Beam and Cream Cocktail has a soft maple flavor and a float of luscious cream. 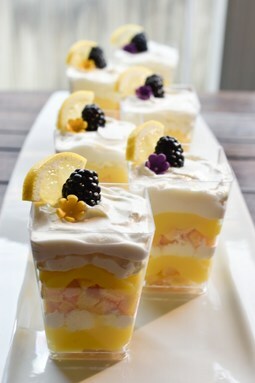 Elderflower and Lemon Mini Trifles are so elegant and dainty. An easy, no bake, and no cook dessert, which can be made the day before your party. 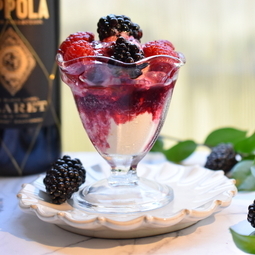 A dessert sauce that is bursting with the flavors of red wine and berries. Delicious over vanilla ice cream or your favorite vanilla flavored cake. 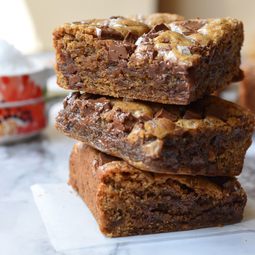 Salted Toffee Blondies are one bowl easy with gooey chunks of chocolate and a sprinkling of flaked sea salt. 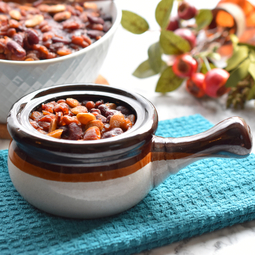 Sweet and tangy Baked Beans Supreme will please a large crowd. 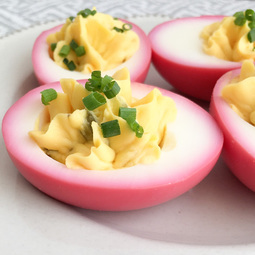 A perfect dish to make the night before and let it cook low and slow on your party day.